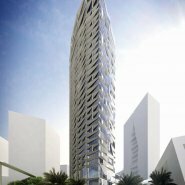 The design of Hilal Tower, a 32-story, 138-meter-tall mixed-use tower that accommodates office, residential and retail functions, is informed by its prominent site within the King Abdullah Financial District master plan. 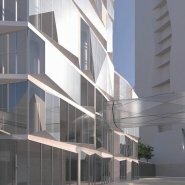 Building occupants will enjoy spectacular views of the development’s central plaza and shopping district as well as a museum and a grand mosque Hilal Tower (whose name features the Arabic word for “crescent,” a reference to the building’s C-shaped window frames) is also oriented on its site in relation to the path of the sun, with increased shading elements on the southern façade to protect against solar heat gain. The northern façade, which enjoys the best views, features a higher percentage of vision glass. Hilal Tower’s other sustainability features include a locally manufactured stone-and-glass exterior wall system that uses shading elements and high thermal mass, solar hot water cells (which provide hot water for the residences) and water conservation systems that collect and re-use greywater for landscape irrigation. 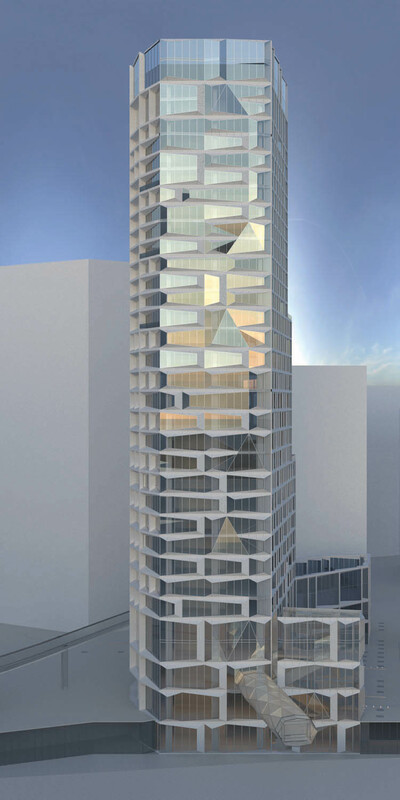 The building’s overall energy performance will be about 44 percent above ASHRAE standards. 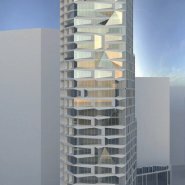 The tower’s tapered stepping pattern relates to its program, with the largest floorplates at the lower levels devoted to retail and offices, and the smallest floorplates on the higher levels used for residences. 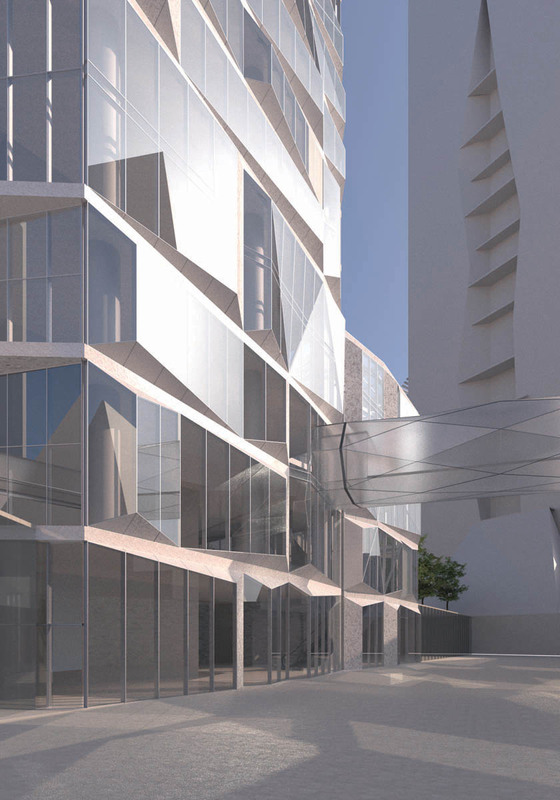 Hilal Tower is topped by a full-floor luxury penthouse unit with rooftop garden. 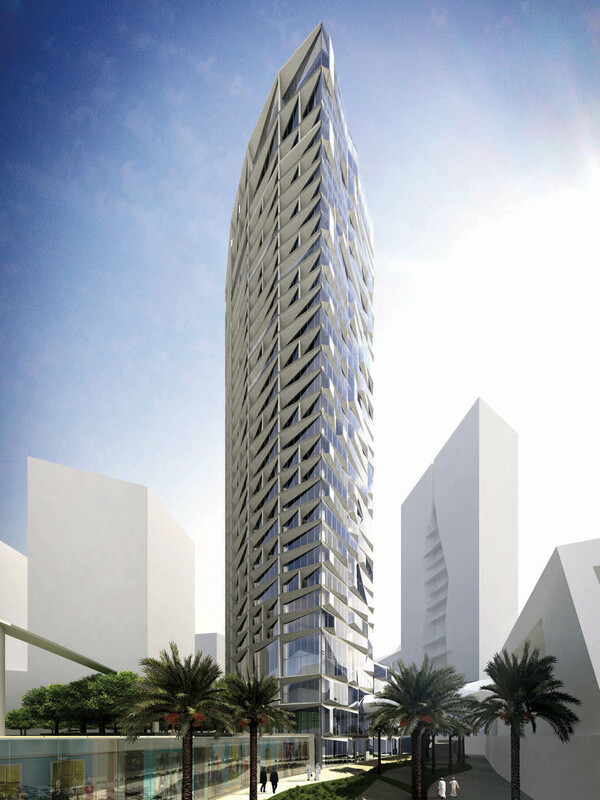 Hilal Tower is currently under construction.